Tathra Beach lifeguards on the job. Photo: Supplied. The flags are flying on Tathra Beach this February making it the only community south of Mollymook offering endless summer safety right through summer. Working with the volunteers from the famous Tathra Surf Life Saving Club, Tathra Beach will again have lifeguards on duty seven days a week until the end of February. “This is the fifth summer the red and yellow flags will be flying past their normal end of January deadline,” says Carmen Risby, President, Tathra & District Business Chamber. 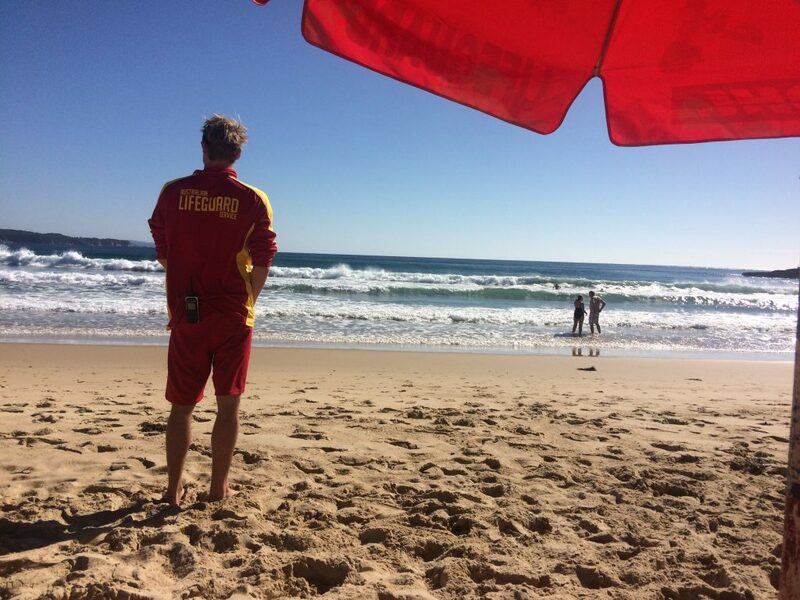 The cost of keeping paid lifeguards on the golden sands of Tathra, Monday to Friday during February is in excess of $11,000, a cost that in the past has been shared between Bega Valley business houses and service organisations. This year as a show of support to the Tathra community in the wake of last year’s bushfires, the Australian Life Guard Service is covering the cost. “When school goes back and our January visitors return to work, we see our most vulnerable guests visit Tathra – young families and senior travellers,” Ms Risby says. “We feel a duty of care to these people, providing a lifeguard service beyond the December – January service covered by Bega Valley Shire Council is a big part of that. “The Australian Lifeguard Service have been our partners for many years and we are so grateful for their extra generosity this year,” Ms Risby says. The start of February also signals a start to off-peak accommodation rates. “And what the locals will tell you is that February is the best time to visit Tathra – no crowds, cheaper rates, and the water is at its warmest,” Ms Risby says.